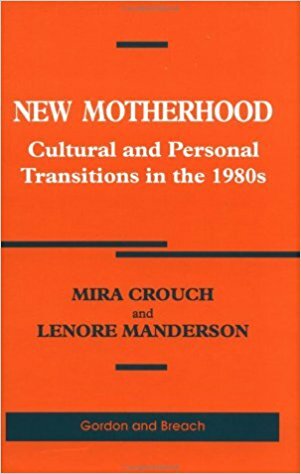 The Australian study of pregnancy, birth and early motherhood in the 1980s explores women’s perceptions of childbearing in the context of an examination of social changes and ideological shifts over the last few decades. Drawing on an eclectic selecton of sources from sociology, anthropology, psychology, medicine and popular literature, the authors provide insights into the symbolic significance of social practices and imagery of reproduction and, in particular, the contemporary experience of labour in its cultural setting. Economically written and elegantly argued, the book addresses a wide range of issues in its treatment of birth and maternity as both substantive and theoretical concerns which extend the limits of current feminist perspectives on these matters. Women’s and men’s attitudes to childbearing, enmeshed in a web of social and political relationships, are shown to be seduced, as well as coerced, by pressures and influences from many conflicting sources. The authors consider these circumstances against the background of the complex social matrix of our time and acknowledge the fact that in this process more questions have been raised than answered. Introduction: Our agenda, among others. Pt. 2. Birth, the Central Issue. Ch. 2. Images of birth, past and present. Pt. 3. Before and After the Event. Ch. 4. Belabouring the pregnant body. Ch. 5. Bonding, sooner or later. Ch. 7. People matter, in theory.